Stephen Patrick Booth, Julie Barbeau, Jean Bernard, Jacqueline van de Geer, and Christine Rodriguez in The Autism Monologues. Photo by Frank Becker. Christine Rodriguez’s The Autism Monologues opens with a monologue by a woman (Julie Barbeau), dressed in all grey with a single, vibrantly colored thread of yarn sewn through her shirt. Against the rather simple and minimalist black backdrop of the Studio Jean Valcourt, she does not stand out. Even with the light illuminating her body, she almost blends into the background. Only her words and soft but commanding voice prevent her from fading into the void created by the black box theatre space. Addressing the audience with a smile, she recounts the experience of being a child psychologist specializing in diagnosing autism. Between short anecdotes of talking to parents during appointments and working with young children in her office, she says, with earnest, that no one autistic child is the same as another. It is this statement that structures and animates the play. As Barbeau finishes her monologue, the lights dim and the play’s four other actors, all dressed in the same grey clothing and stitched thread, are set in motion. Moving in a circle, they carry moveable set pieces, which double as seats, as well as boxes holding smaller props. At the end of each rotation, the light is shone on the next actor and they soon begin their character’s monologue. In each segment that follows, a plethora of characters–autistic and non-autistic alike–speak from a variety of unique perspectives about autism. No one monologue is the same as another. 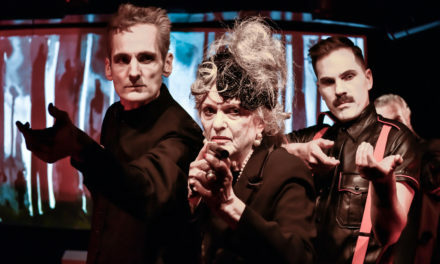 Through a series of short interactions among characters scattered between longer and remarkably impassioned monologues, Rodriguez’s play explores the persistent lack of support for autistic children and their families, as well as various misunderstandings about autism and neurodiversity more generally. In the role of a frantic mother who finds herself overwhelmed by the exponential expenses for her son’s care, Rodriguez’s character makes clear that despite Quebec provincial healthcare plans parents of autistic children are forced to pay out of pocket for therapy, psychologists, and support workers. The play does not holistically teach its audience about autism or neurodiversity (and perhaps it does not intend to). It does, however, elucidate the emotional battles and fiscal strains placed on parents of autistic children–not as a result of autism itself, but rather due to the education and healthcare systems that fail to fully take neurodiversity into account. There are moments when watching the play’s non-autistic actors “perform” autism that fall short, and often come across as forced and insubstantial. Though the play’s monologues are conceived from a series of interviews Rodriguez held with autistic people and their families, The Autism Monologues, despite its best efforts, often centers neurotypicality in its attempted depiction and prioritization of autism. 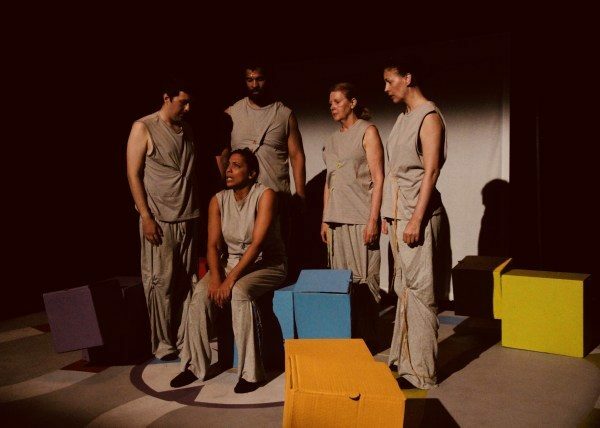 While structured as an exploration of the lives of autistic people, it is difficult to overlook and not question whether such an endeavor can or should be undertaken if the play’s autistic characters are performed by primarily non-autistic and neurotypical actors. That being said, The Autism Monologues thrives in its segments where actors are not attempting to embody people with autism but are rather presenting narratives of non-autistic people affected by their community’s refusal to understand and provide resources to help support them. Between the monologue of a father (Jean Bernard) bringing his autistic child (Stephen Patrick Booth) to see The Muppets–a trip where he describes his son as being silent en route to the theatre, silent during the tech rehearsal, uttering one loud scream as the Muppets enter on stage, and silent once again–to a mother (Jacqueline van der Geer) seeing her son, Carl, on stage who is with but standing apart from the rest of the children on stage at the school recital, there is no shortage of emotional complexity in the one-hour performance. There is a sort of unbounded power within those monologues; a power that transformed the space and the people within it. The play’s integration of keyboards, large sheets with felt letters and American Sign Language by set and costume designer Nalo Soyini Bruce under the direction of Jen Viens, effectively articulated to the audience how communication methods for non-verbal autistic people are not limited to speech-based or verbal acts. These props and means of communication demonstrate that conversation can happen in touching, through sign language, as well as through subtle (or sometimes less subtle) facial expressions. During each of the rotational transitions, one of the five actors moves behind a large, white sheet and is quickly lit from behind like a shadow puppet. Swaying from side to side and moving closer towards the sheet to make their shadow more discernable to the audience, they provide us with fleeting moments of seeing the outline of their bodies. Watching the unpredictable movements of the actor’s silhouette behind the sheet alongside the stillness of the other four actors in front of the sheet feels as if there are two entirely different performances occurring simultaneously. 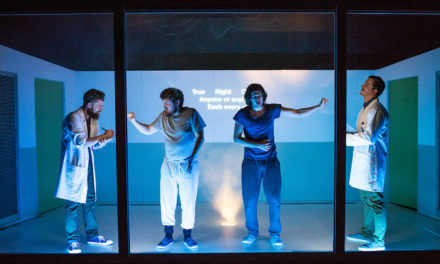 Though the silhouettes were still tied to the multi-monologue structure of the play, they communicated a dimension of the performance that could only be articulated non-verbally. The Autism Monologues possesses a certain sensory depth difficult to sustain in a space such as a black-box theatre. I still find myself frequently thinking back to the arresting moments of the performance and getting lost in the heartfelt narratives that were shared in what was an intimate space. 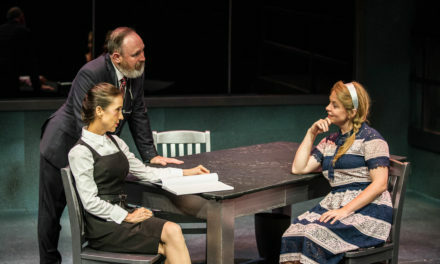 The sweet but silent smiles between characters, the arbitrary sways of silhouettes behind the white sheet positioned center stage, and the shrill, unexpected screams that would not only grab your attention but carry you into place of vulnerability alongside the actors, are among the show’s small moments that effectively illustrate the complexity of the life stories it seeks to portray. Despite a few reservations, The Autism Monologues succeeds in presenting not only the importance of mutual support and the power of relationships but also the work that still needs to be done for autistic people. 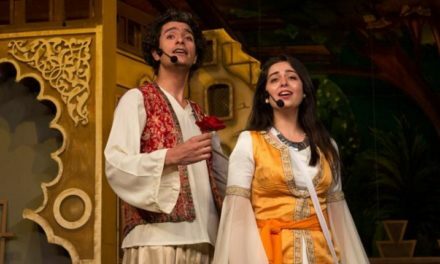 This article was originally published on alt.theatre. Reposted with permission. Read the original article.